Brett McBean remains a certified genre stud despite flying under the radar recently. Whether in the foreground or background, however, McBean is an awesome author and he’s now set out to deliver what could be his finest work yet: The Invasion. With a title like that you know there are only two ways to go: either aliens have landed on earth, or psychos busting down doors that don’t belong to them have reared their nasty heads again. If you put your money on the latter as opposed to the former, you nailed this one on the head. Sinister Grin Press delivers The Invasion, which should make for a swift and engaging read at just 235 pages. And the concept, well – let’s just say this one sounds awesome! The Invasion can be purchased right here. Dig on the synopsis as well as the book cover, below. Synopsis: It was supposed to be a quiet end to a long day: five close-knit family and friends settling in for some much-needed sleep after coming together for an early Christmas party. 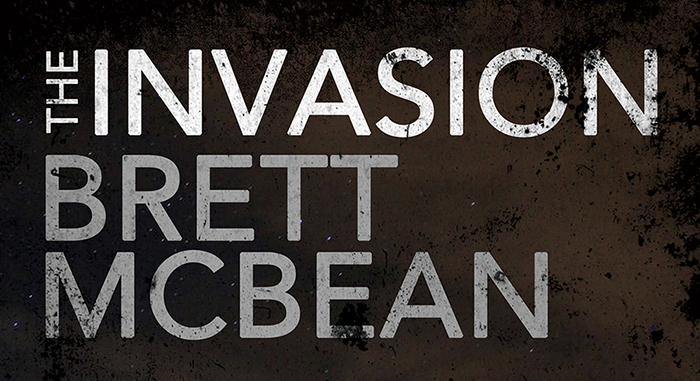 1 Comment on Brett McBean’s Terrifying Home Invasion Tale ‘The Invasion’ is Now Available! Awesome post, thanks for this!